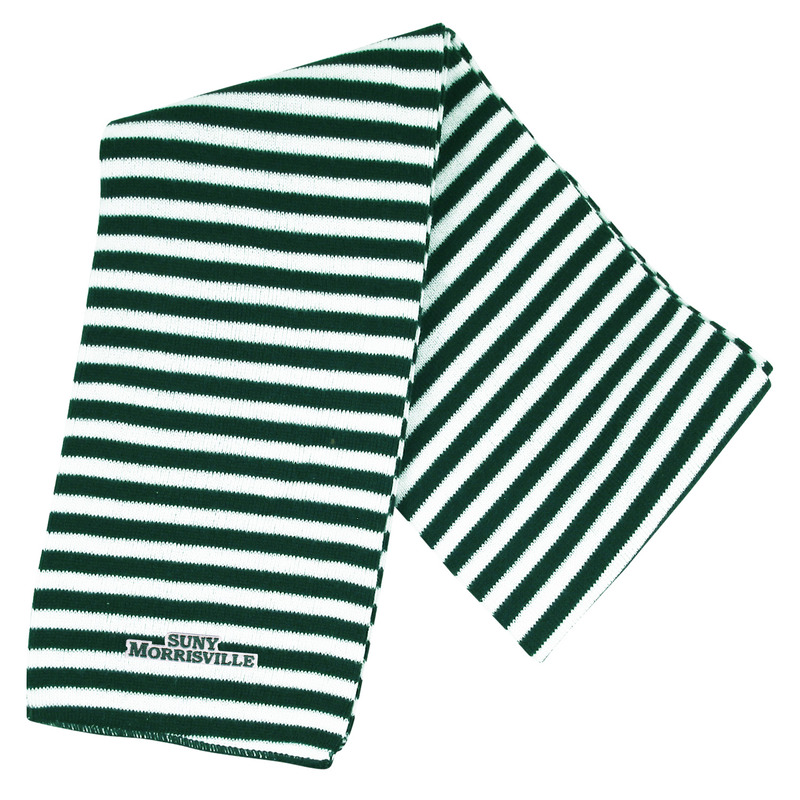 Soft knit scarf in green and white stripes. 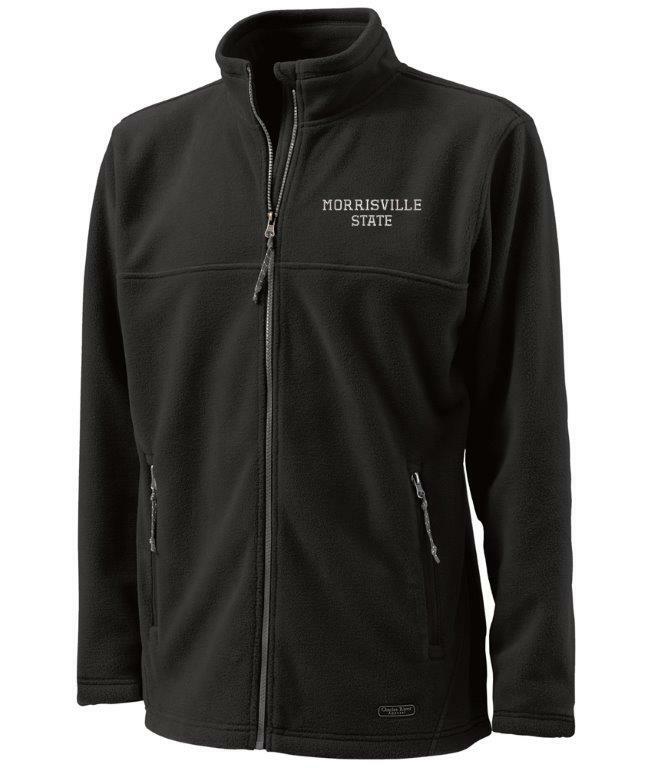 Men's black fleece jacket by Charles River. Features open cuffs and hem, zipper pockets and a stand-up collar. Please select option for Boundary Fleece Jacket. Knit flip top mittens from Logo Fit. Available in green, black or gray. Features a smart touch thumb. 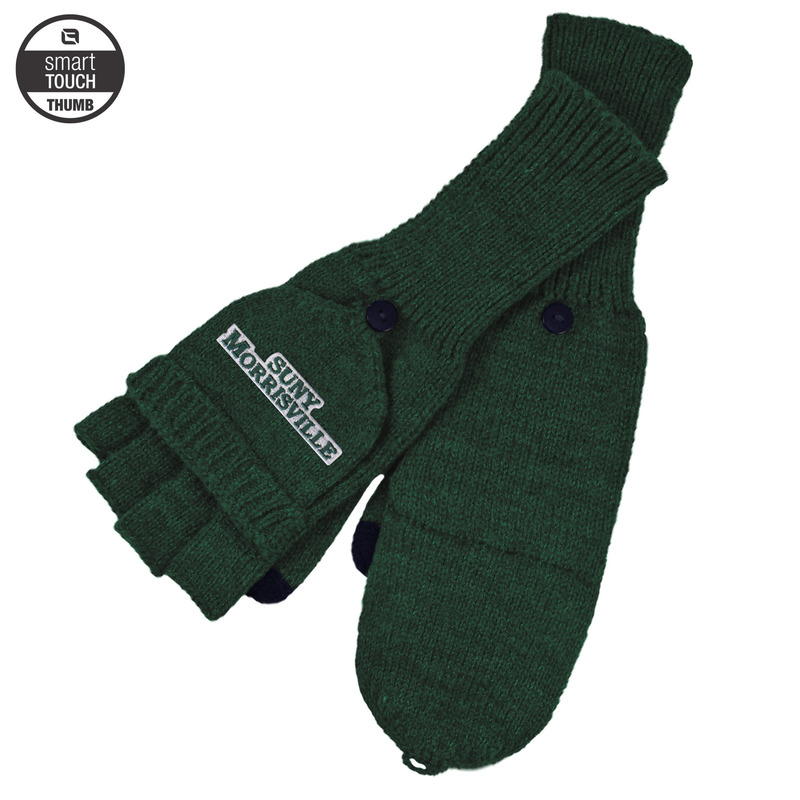 Please select option for Flip Top Mitten - 3 Colors Available. Striped beanies from Logo Fit. Available in four color combinations. 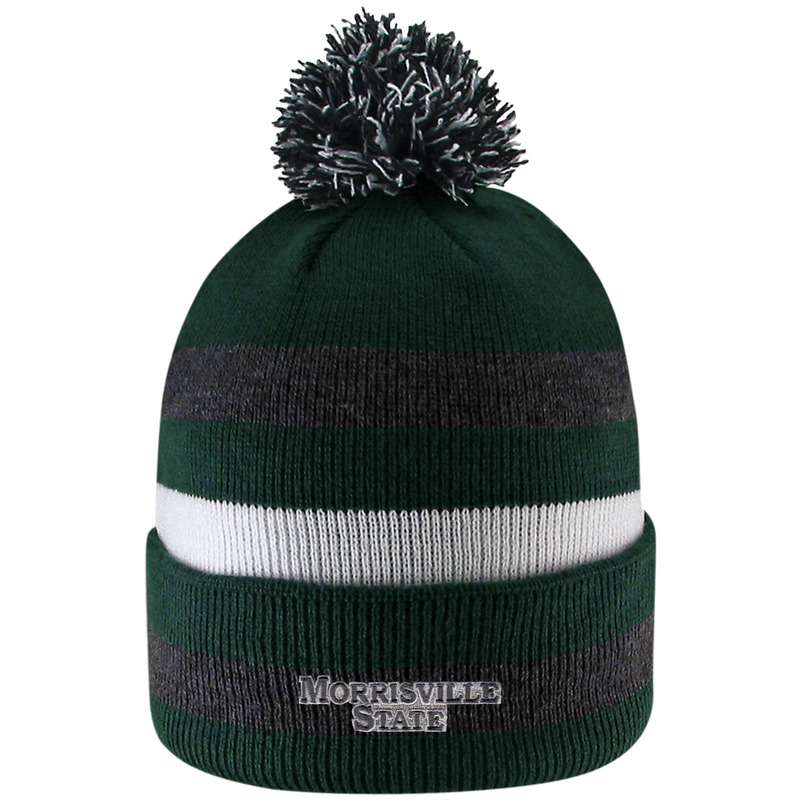 Please select option for Striped Beanies - 4 Colors Available. 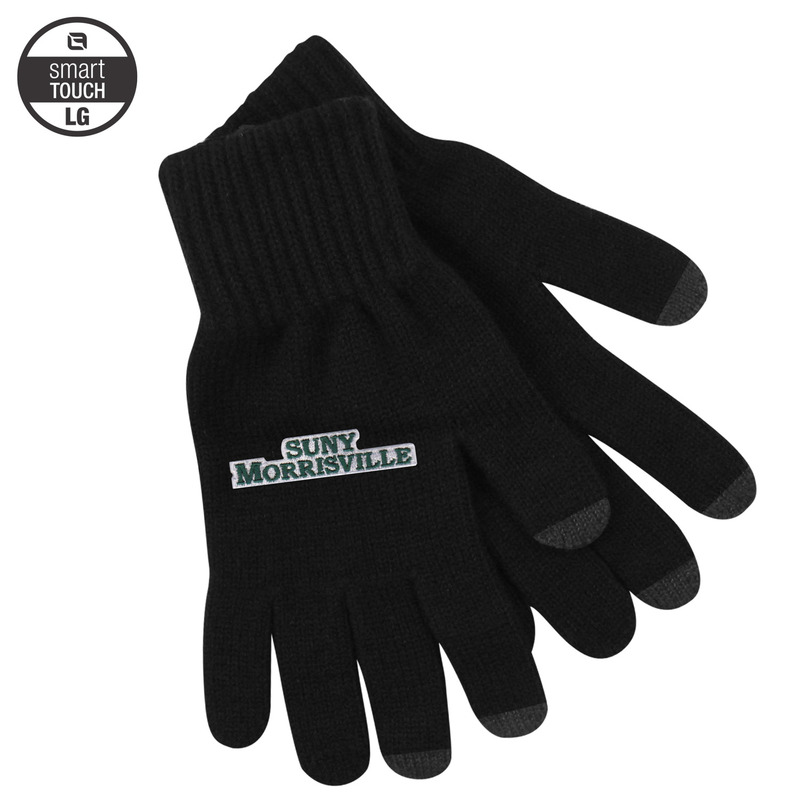 Black knit texting gloves from Logo Fit. Available in size medium or large. Please select option for Texting Gloves - MD or LG. 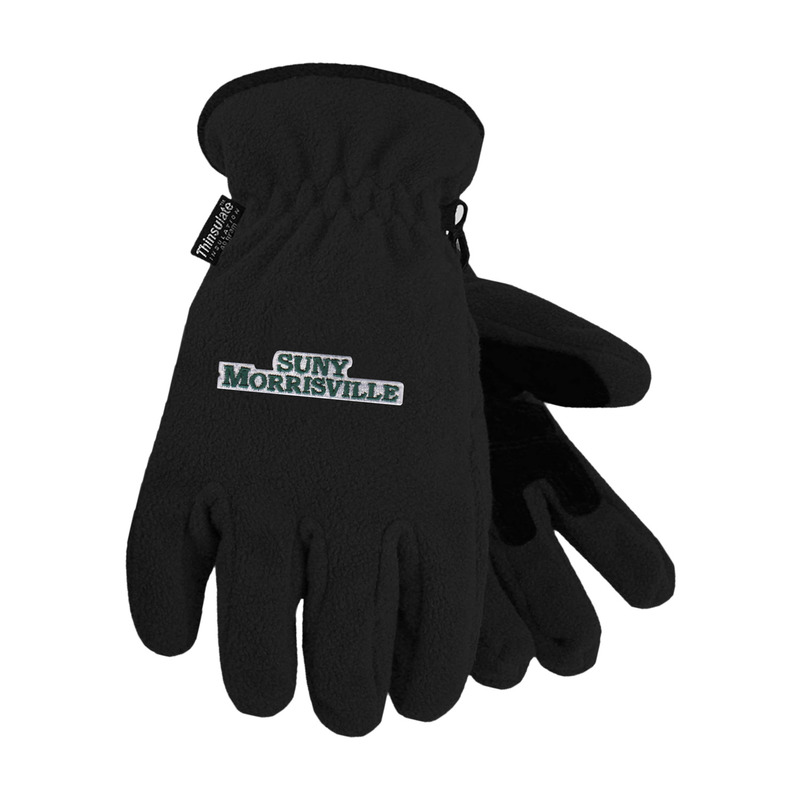 Thinsulate lined gloves with suede palm patch. Perfect for chilly days. Available in medium or large. Please select option for Winter Gloves - MD or LG. 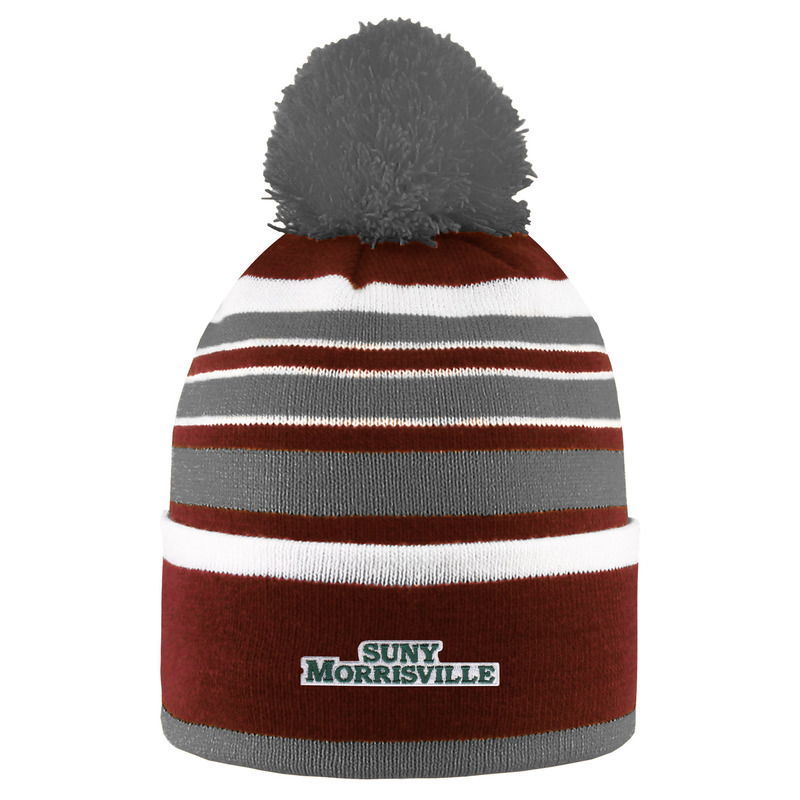 'Halftime' Knit Hat for the Junior Set. Green, White, and Charcoal Stripes with a Green and White Pom-Pom. Perfect for chilly days.